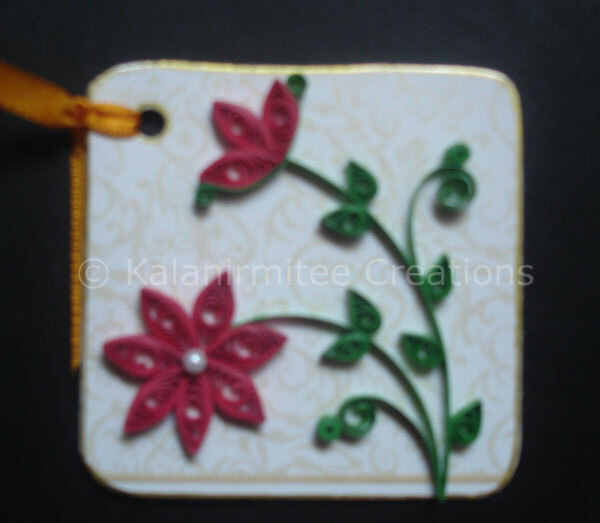 These are small cards with paper quilling arrangement on it. It can also be used as gift tags. 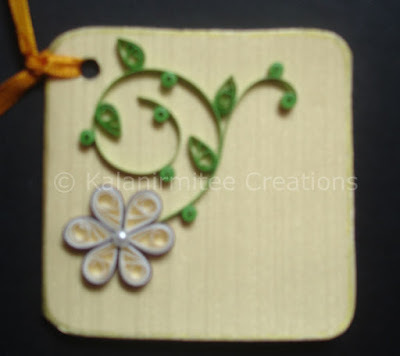 These handmade gift tags/small cards are ideal thing to gift your friends with other gift articles. 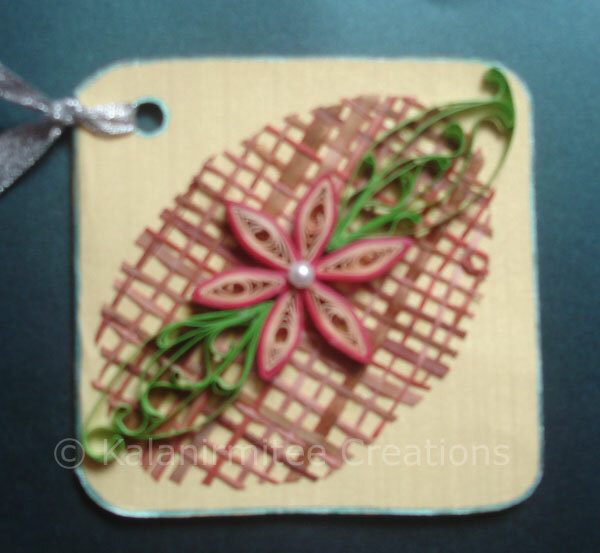 You can also make lamasa clay floral arrangement or miniature punch craft arrangement on these small cards/gift tags. 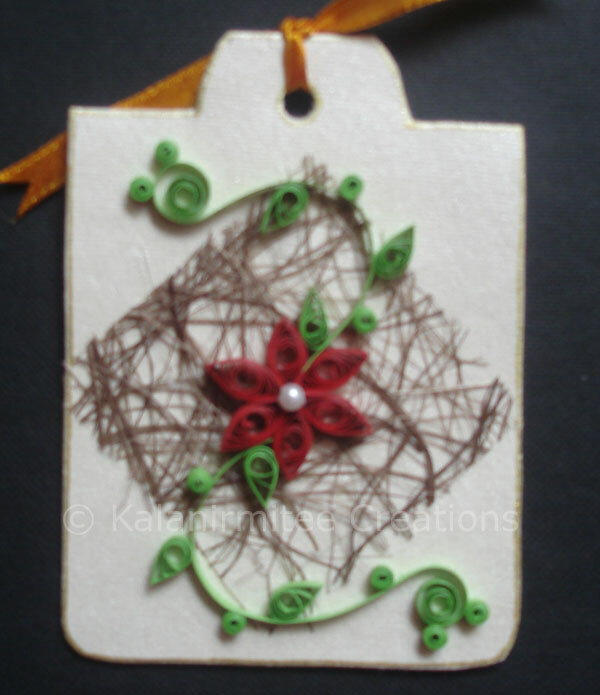 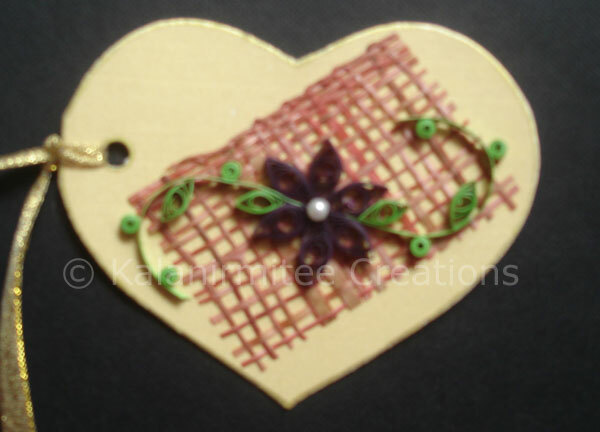 For Some of these cards, I have used jute mats for background.